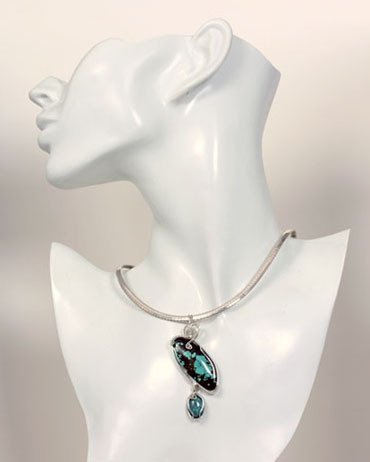 Double the fun with two turquoise cabochons, all wrapped up with argentium wire into one smart looking pendant! 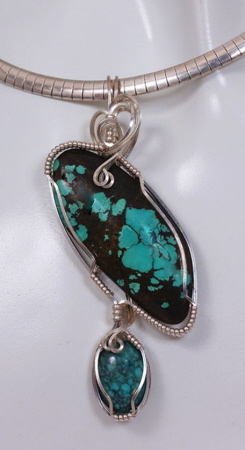 Turquoise stabilized for hardness and durability. Large cab measures 40 mm x 17 mm. Small cab measures 14 mm x 10 mm. Finished size 68 mm x 30 mm. Weight 0.4 oz.